I come across to the Monsterbrains blog and I suddenly notice some interesting image from Jack Kirby's comic book The Demon from 1972-73. It seemed like a good idea because I recall his interesting images from "The Eternals" of the inside of a tomb like environment featuring a drawing of a giant statue sitting in a giant vehicle as a statue. I see a painting of a huge ancient idol that reminds me of Giger's paintings because of its oddity and geometry and suddenly think, well this is something that Giger ought to have turned into a biomechanic painting such as his temple environments. I suddenly wonder what could have been turned into what. 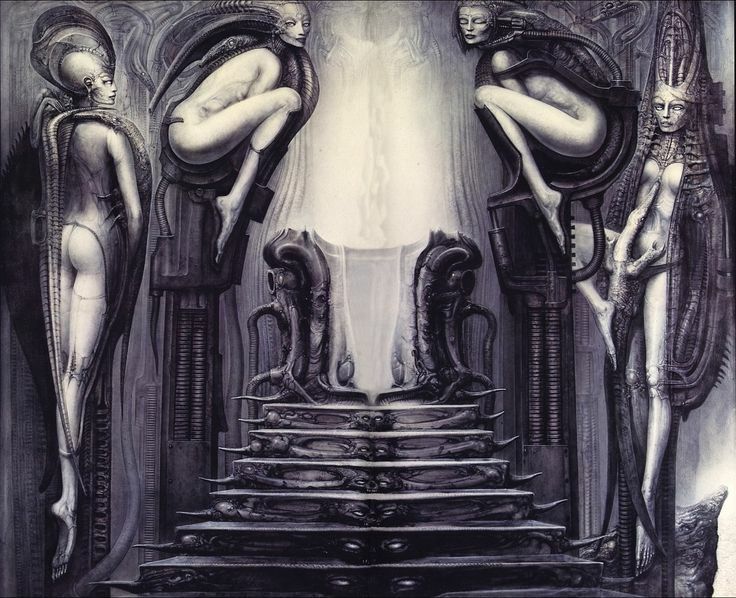 The central details from the illustration reminded me of the legs of the crouched women held in the air in Giger's Passage Temple The Way of the Magician, but reversed and from there details began to unfold. Based on this I realise that images have been spread across the Passage Temple paintings, Life, Death and The Way of the Magician. 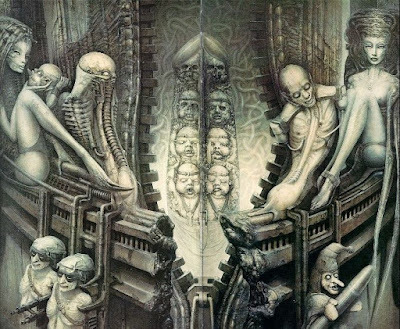 However the way that Giger may have looked at something and had an idea based on it, may result in an image with only the slightest suggestion of a connection with the source image. 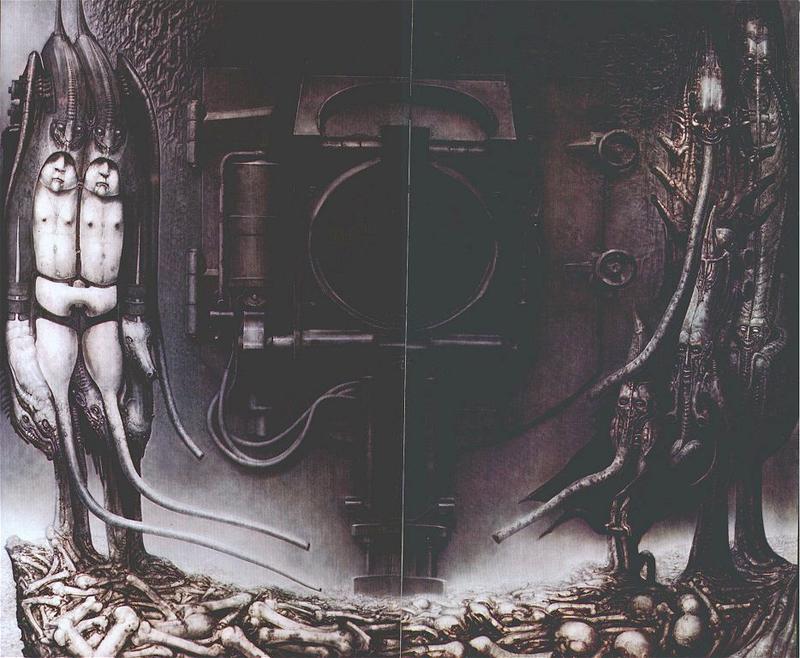 Perhaps other works of art have been additional inspiration for this particular series of Giger paintings as has been the case with his work in general and I am yet to work them out. nearby speech bubble has been incorporated into the image. last imageshown here is upside down.